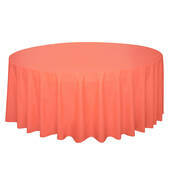 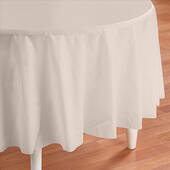 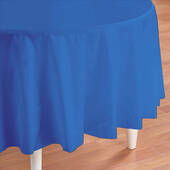 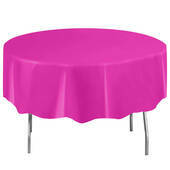 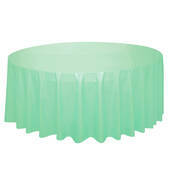 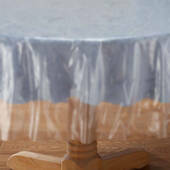 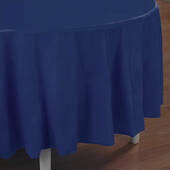 This circular table cover is a lively and fun shade of teal that will brighten up your event. 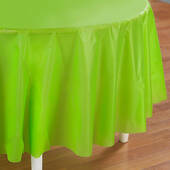 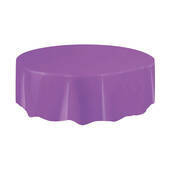 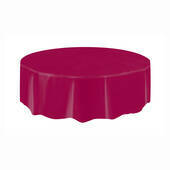 Made using durable plastic, it measures 7 feet in diameter. This is a great size for most standard round tables.